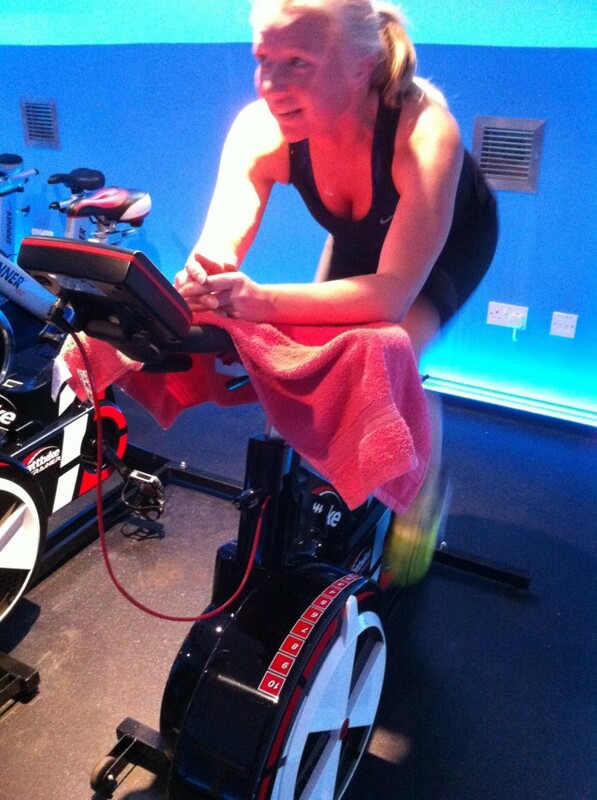 We take a peak into the world of indoor Wattbike training. Ride25 Team Leader, endurance cyclist, performance cycling coach, Wattbike Technical Instructor, Pro Mechanic, and Director of Surrey-based RollingDynamics, Mark Dressel talks to us about the benefits of supplementing your outdoor riding with focused indoor sessions and achieving your full potential during a ride. Mark takes one of the Ride25 Pioneers, Tricia Bacon, through a structured training session, to help increase her awareness and understanding of how indoor training can help you progress. This is particularly useful for Tricia with the darker and colder months approaching, where consistency is vital and when we may all need additional motivation. If you mostly ride on the open road, making an effort to train indoors not only offers a really efficient workout, but it’s an excellent way to tinker with technique & cadence, positively boost power, and learn essential skills which are certain to come in handy in any challenging ride situation. When we cycle with a Club it’s usually for several reasons. As well as the camaraderie of riding in a bunch, we’re rolling with a mix of stronger, more experienced riders and fine–tuning our group skills. Training indoors also has its benefits. Understanding your ‘engine’ in controlled conditions can be extremely motivating. It allows you to identify areas of improvement and can give you a new appreciation of the sport. A 45 minute indoor workout can be the equivalent of a 1.5-2hr outdoor ride and can massively help you build your fitness and power. A typical session consists of a 10-20 minute Warm-Up (based on the Team Sky TT warm-up protocol), core Intervals, cool down and stretching. The big difference can be summed up in one word – Data. Enough to delight any numbers junkie. As well as big-screen projection for group motivation, there’s a personal performance monitor on every trainer. There’s nowhere to hide and this definately isn’t a spin class. Where to start? As the saying goes, what gets measured gets done. Many cyclists skip the most important part of indoor training – establishing a set of baseline figures (Zones) on which to base your plans. There’s nothing like cold hard numbers to ensure that you’re training at the right intensity for the correct duration to allow you to make the most of your physiology and investment in saddle time. Tricia wanted a programme that would help her not only train smarter, but act as a way of improving her technique and becoming more efficient. An initial 1:1 test to set her personalised training Zones was just the beginning. Then undertaking checks at regular intervals to both track progress and re-base training zones will be the ‘check engine light’ for her fitness throughout the year. Having your saddle in the incorrect position can make a mess of your technique and can also cause recurring problems with legs, back and shoulders. A good indoor coach can show you basic bike fit protocols to optimise your riding position. Then, rather than just pushing the power through the downwards section of the pedal stroke, think about engaging your hamstrings and glutes. Feel as though your feet at the bottom of a pedal stroke are scraping the mud off your shoes and getting ready for the next revolution. Tricia put this into practice and being so much more aware of it started to make an immediate difference. As Tricia explained “we very quickly get used to what seems natural when cycling compared to what is right – it was a little alarming to see how much energy I was wasting”. Every single session is not just a workout. 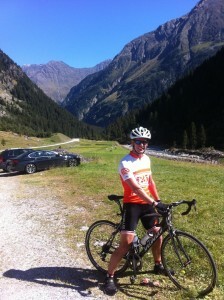 You’ll be learning to ‘burn your matches’ more evenly on a longer ride or climb. It’s training smarter and all counts towards achieving your goal of riding further or faster. Practice makes perfect, and you’ll soon be transferring those all-important performance gain elements you’ve focused on indoors out onto the open road for those more adventurous challenges! Take your riding to the next level in 2016! RollingDynamics which is based in South West London, is offering Ride25 customers 15% off a 1:1 Fitness Test in December (normal price £60), to determine your personal data and Training Zones. Call Mark on 07791 336116 to book a slot, or email mark@rollingdynamics.com, quoting ‘Ride25 Pioneers’. Next time: we look at the benefits of training with power. Would love to have a training session nearer to home. Any trainers in the East Midlands?